The UK’s market leader in luxury vinyl flooring Karndean Designflooring took centre stage at Molineux football stadium in Wolverhampton, on Tuesday (1st April) to present their ‘Social media for the Interior Design Profession’ in partnership with The Society of British and International Design (SBID). With an impressive turnout of more than 40 attendees, the evening welcomed back Heather Horton, international head of digital from Karndean who led last year’s successful CPD on the ‘Social Media for Business’ as lead speaker, and Claire Ryan, Karndean’s newly appointed PR executive. Of course, there were high expectations from the evening to match last year’s event. Kick-starting the seminar with SEO, often a confusing subject for non-techies, our speakers drilled down the most important things our designers needed to understand and presented it in a way that could be easily applied by all. Acknowledging the ‘5,922,000,000 Google searches recorded per day last year’, Heather explained the importance of having a strategy in place to ensure your business is ranking well on search engines. When asked for a quick show of hands for the number of people blogging in the room, we were surprised to see how many attendees were yet to start blogging. It brought the talk on to the importance of blogging and its power to help you enhance your current SEO strategy. Highlighting engaging content, inspiring photography and videos and backlinks as the vital ingredients for a successful blog, our speakers explained from a practical point of view how to get started using their own blog – www.karndeanblog.com – as a prime example. As busy designers, we often don’t have the time or manpower to do everything we need to do for our own online profile. This is something our speakers had clearly taken into account when addressing each subject. There was an air of apprehension in the room on the subject of Google+. It was clear to see the change in opinion in the room as our speakers introduced this platform as the fastest growing social network at the moment with over 500 million users. As well as giving us ideas to get creative, our social duo explained the pros and cons of this channel, concluding with the benefits far outweigh the negative of having to keep up with an extra social profile. It certainly gave us all food for thought. 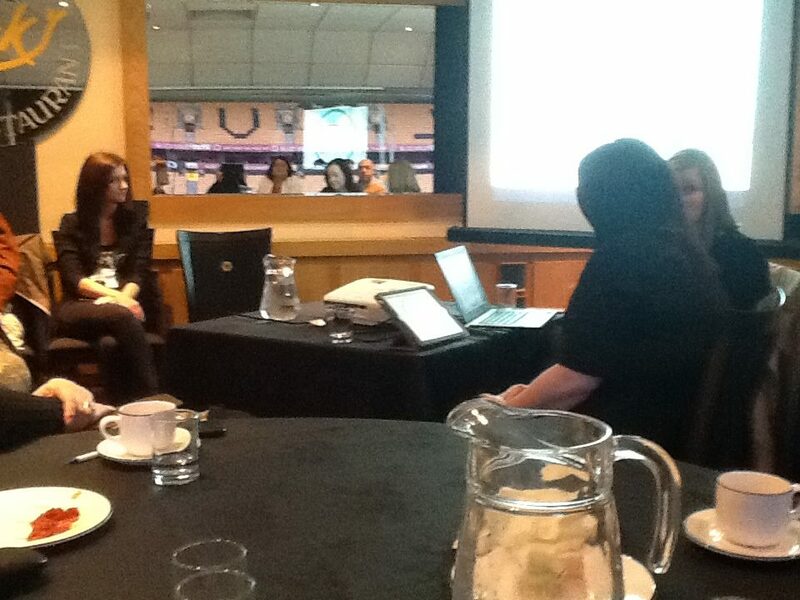 To finish, we were given an insight into ‘community engagement’ and how to keep the conversation flowing. This led us to locating your social advocates and deciding the best way of engaging these audiences to talk about your brand. Overall, I think the evening was summed up nicely by one of our designers in attendance – ‘it was refreshing to attend a talk on social media and not leave the room in a state of confusion’. We wonder what they’ll have in store for us next time!